The Mesh Storage Net™ gives more storage on the course. The Clicgear Mesh Storage Net provides extra large storage for items like rainwear, snacks, etc. The bag is made of Sturdy nylon mesh for durability and easy maintenance. It is designed to stay on when folding the cart. 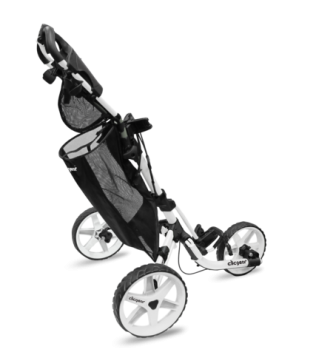 This accessory fits Clicgear and Rovic carts, plus many other push cart brands.